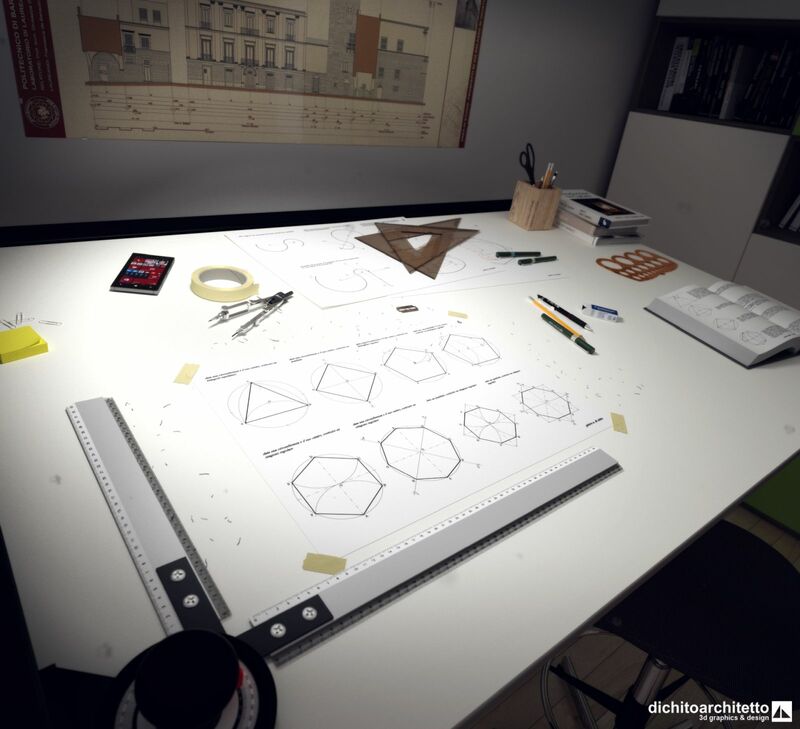 The intruder inside my latest rendering work. 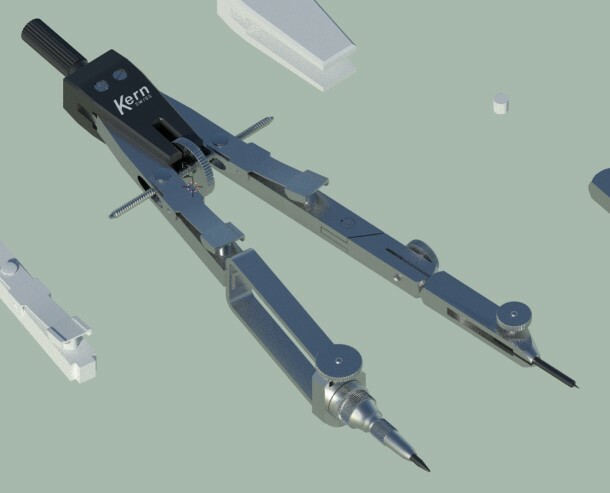 Some objects I modeled for a 3d scene I’m working on. 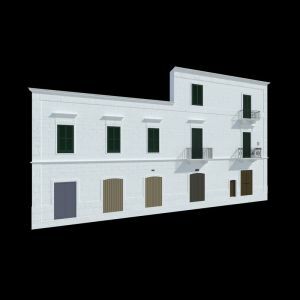 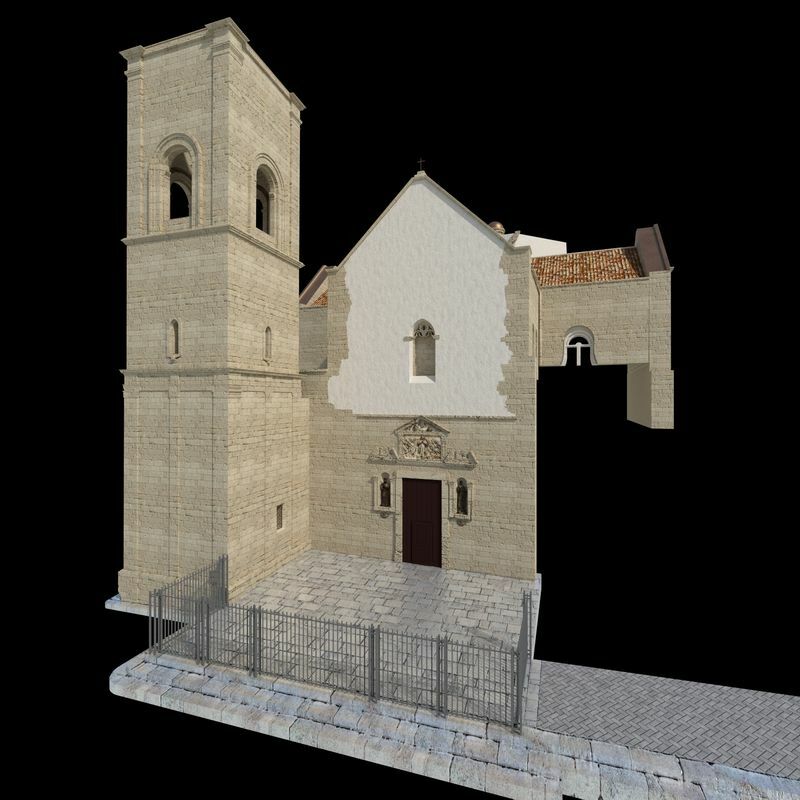 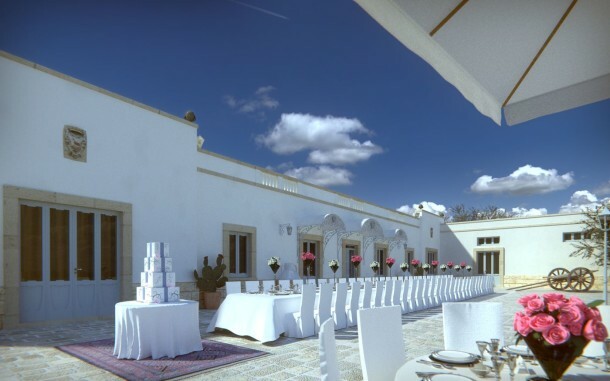 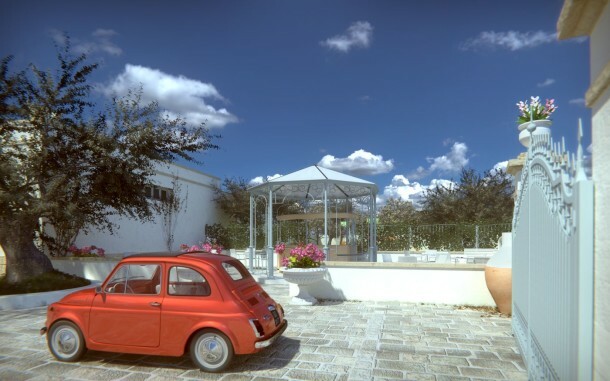 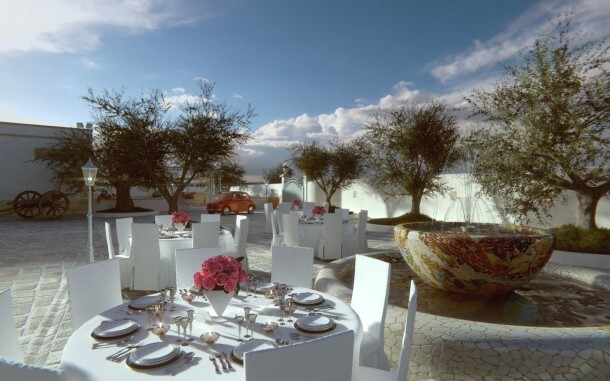 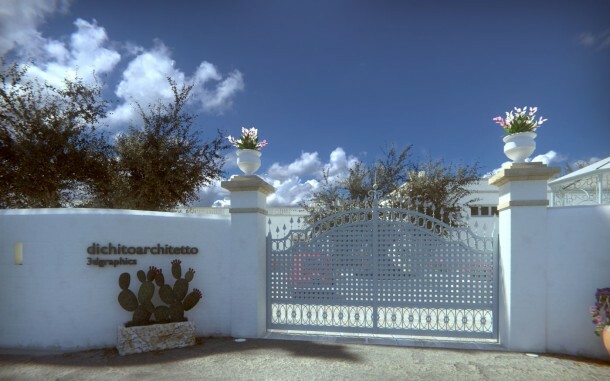 Today we’re presenting the render update of V Emanuele II Square in Polignano a Mare, Italy (more info here): after single building images, this is the first image that shows the entire square, with a fisheye rendering. 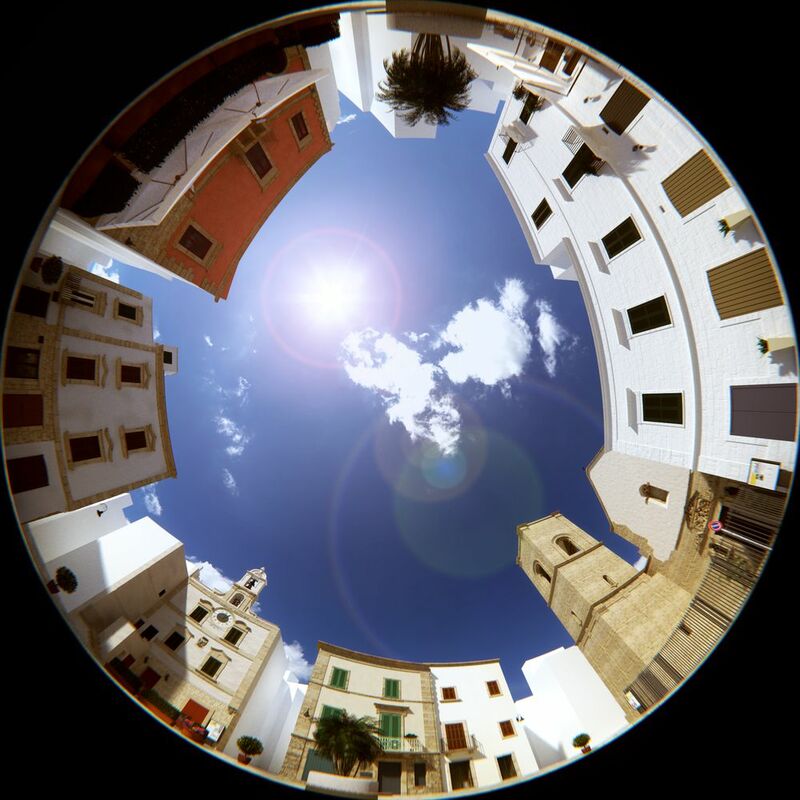 Next days we’ll present equirectangular and “little planet” views.